Benjamin Millepied's new company tests the city's appetite for concert dance. Millepied rehearsing his ballet Plainspoken with New York City Ballet dancers. Photo by Paul Kolnik, Courtesy NYCB. It’s hard to keep track of Benjamin Millepied. The man whose surname translates to “1,000 feet” appears to be everywhere at once, with 1,000 hands running 1,000 projects. He may be the dance world’s answer to James Franco. Last November, Millepied announced plans to assemble his L.A. Dance Project, which debuts this month in conjunction with the Los Angeles Music Center. 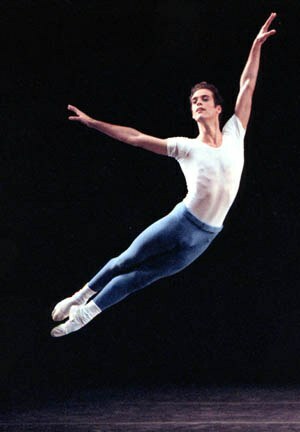 Within the last five years, he has choreographed or staged his ballets for major-league companies like New York City Ballet, American Ballet Theatre, the Paris Opéra Ballet, and the Mariinsky Ballet; danced—and since retired—as a principal dancer with NYCB; choreographed Khovanshchina and The Bartered Bride for the Metropolitan Opera; choreographed the musical Hands on a Hardbody (slated to come to Broadway this season); and directed six short films. He also choreographed the movie Black Swan, met Natalie Portman, started a relationship, and the couple had a son, Aleph. Oh, and he’s the face of Yves Saint Laurent’s new fragrance L’Homme Libre. Whew. A free man, but a very busy one. Talks with the L.A Music Center prompted Millepied to ponder a new way to produce dance. “I thought, I’ll put on one tour and see how it goes,” he recalls. Glorya Kaufman Presents Dance at the Music Center serendipitously agreed to commission the first program. Millepied considered Baryshnikov’s White Oak Dance Project as a model: six dancers, non-elaborate productions, funding from a foundation, and touring, especially to Europe. Millepied has used his connections to solidify partnerships with Maison de la Danse in Lyon, Sadler’s Wells in London, and Paris’ Théâtre du Châtelet; each residency will produce a premiere within the next two years. Also included on the program are William Forsythe’s Quintett, an elegiac 1993 piece set to a hypnotic score by Gavin Bryars; and a Millepied premiere, with new music by favorite collaborator Nico Muhly and visual design by painter Christopher Wool. Pacific Northwest Ballet in Millepied’s 3 Movements. Photo © Angela Sterling, Courtesy PNB. Will Los Angeles audiences support LADP (which is a resident of L.A. Theatre Center)? “I’m going with what I believe in,” says Millepied. “It already has a life.” His intention reaches “beyond just putting ballets on the stage” to include projects outside of theaters and in museums, such as his collaboration last summer with installation artist Mark Bradford at L.A.’s Museum of Contemporary Art. And he’s not seeking initial overexposure in the press. “It’s going to take time for us to really get a unity and a look,” he says. His past executive experience helps. Between directing his own company Danses Concertantes, the Morriss Center Dance Workshop, and the annual summer Nantucket Atheneum Dance Festival, he’s produced about 130 performances over a decade. “I’ve made a lot of mistakes already!” he admits. 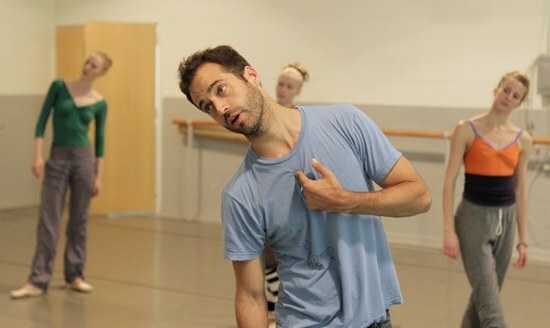 “I have a chance to walk into this project at a time when everything connects.” For now, Millepied isn’t pursuing other choreographic gigs or even restaging existing ballets (although he admits he would find time for NYCB or the Paris Opéra). Ballet du Grand Théâtre de Genève in Millepied’s Spectre de la Rose. Photo by GTG/Vincent/Lepresle, Courtesy Ballet du Grand Théâtre de Genève. Millepied has announced four of his six dancers: Frances Chiaverini (of Armi­tage Gone! Dance and Luca Veggetti’s work), Julia Eichten and Nathan B. Makolandra, all Juilliard graduates with experience in choreographing, a skill Millepied prefers in his dancers; and Morgan Lugo, a SUNY Purchase graduate who danced with Morphoses. Millepied also hopes to dance in Quintett this fall. Auditions for dancers who must “permanently reside in California” were held last November at L.A.’s Japanese American Cultural and Community Center. At right: The young Millepied in Robbins’ 2 & 3 Part Inventions, late ’90s. Photo by Paul Kolnik, Courtesy NYCB. Joseph Carman is a senior advising editor of Dance Magazine.